Our First Aid at Work Requalification Course is exclusively for individuals whose First Aid at Work certificate is due to expire. The course will refresh your knowledge of the first aid skills you learnt on your initial First Aid at Work course and will bring your knowledge up to date with any legislative changes, as well as giving you the opportunity to practice these skills in a controlled environment. Those attending this course must have an in-date First Aid at Work certificate (or it must not have elapsed by more than 1 calendar month). If you are unsure then please contact us and we'll be happy to help. 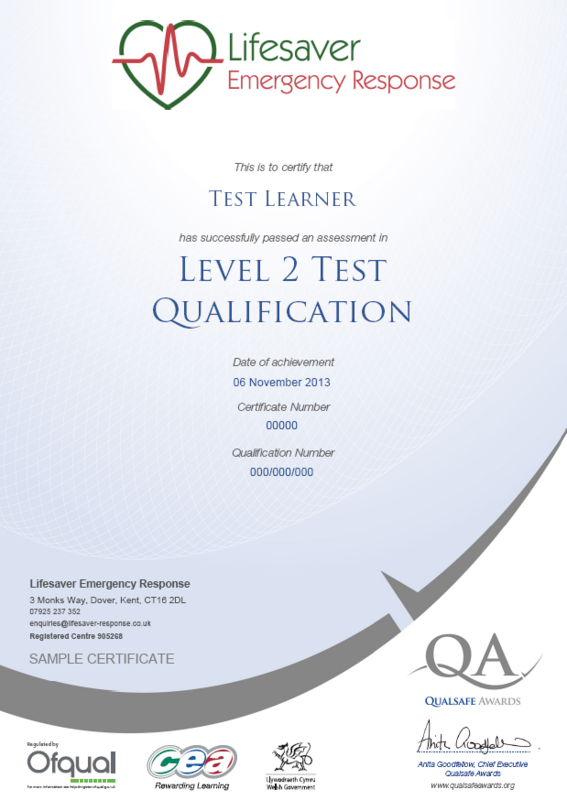 If you require the initial qualifying course please click here. •	has an injury to a bone, muscle or joint. When you come on the day, please bring one form of photographic ID, a packed lunch and a pen and paper. You will also need to bring a copy of your current FAW certificate. On successful completion of this course you will be awarded you will be awarded a Level 3 Award in First Aid at Work certificate, which is valid for 3 years. The HSE strongly recommends annual refresher courses to maintain your skill level.